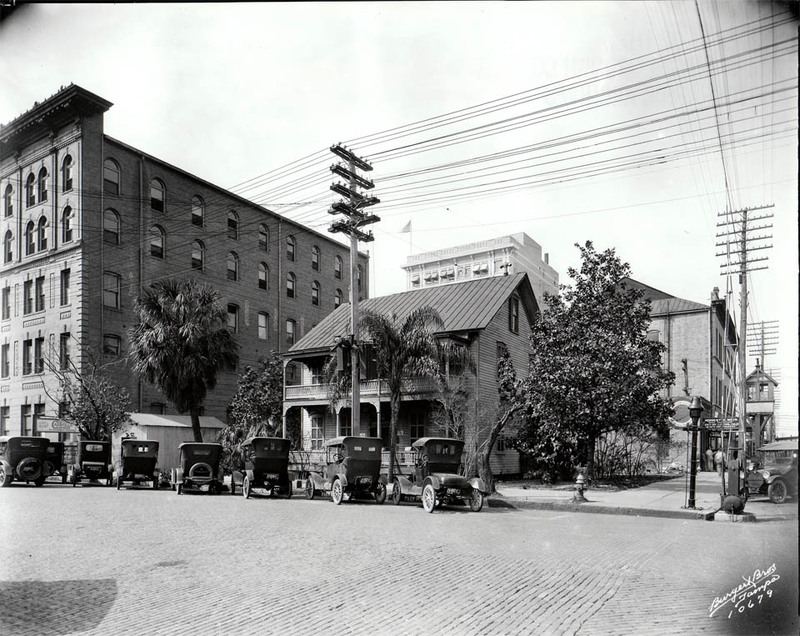 Amanda Johnson Furnished Rooms, once located on the southwest corner of Florida Avenue and Polk Street, is now where the Tampa Theatre building is. 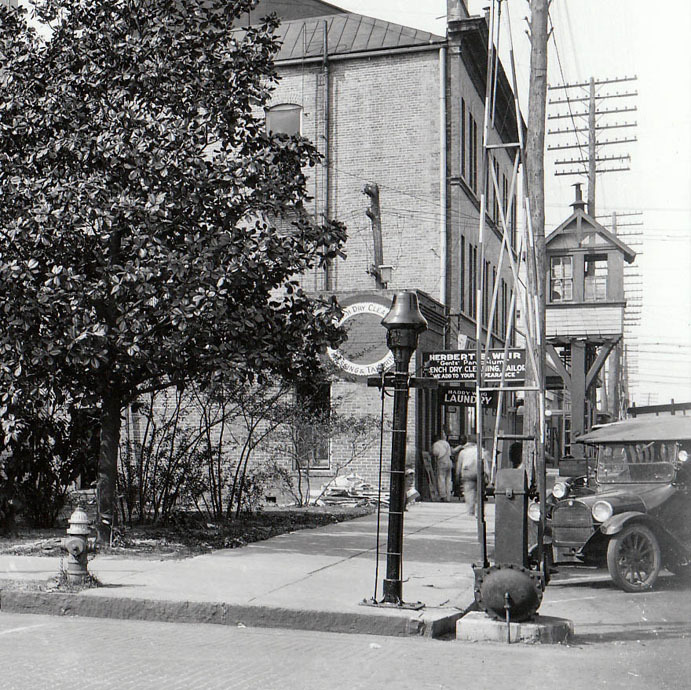 Notice all of the electric and telephone wires as well as the once prevalent railroad crossing tower. As far as Tampa Preservation, Inc. is aware, there are no more remaining railroad towers left in Tampa. However, if you are aware of any, please let us know! Below is a better view of the tower. All prints, 11x14 and smaller, come with a decorative white mat. Unless otherwise specified, the historic photo and modern photo are printed on the same sheet of photographic paper. If you would like your photo framed or printed in a size not listed, please feel free to contact me. Super job, Bryan. 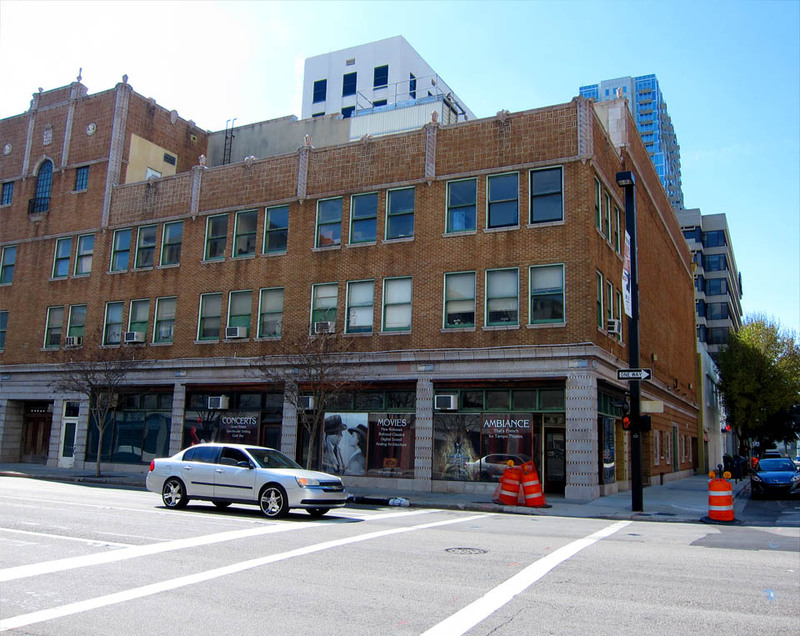 A lot of people don’t realize that the theatre stage and auditorium are actually located in this building on the Florida Ave. side of Tampa Theatre. The 10-story building on Florida, which can be seen top center of the top photo, is where the entance is located and only houses the entrance and lobby.